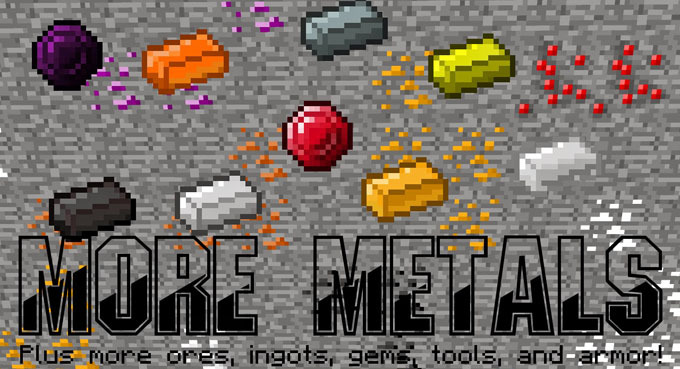 The More Metal Mod 1.12.2 adds a hole bunch of new metal blocks, ores, alloys, ingots, tools, and armor! You craft armor and weapons from metal alloys made from various metal ingots. You can also craft tools and armor using two new gemstones. Download the More Metal Mod from link below.